Dallas Lamp & Light is a locally owned WhiteRock/East Dallas business specializing in lamp/light repair as well as complete lamp restoration and redesign. Electrical rewiring is our core competency but we also have the expertise and facilities to perform full rejuvenation including surface repair/restoration of metal, wood and ceramics. Look to Dallas Lamp and Light to bring light back to your lamps and light fixtures. We carry a complete stock of replacement components, including switches, cords, fixture receptacles and brass hardware. 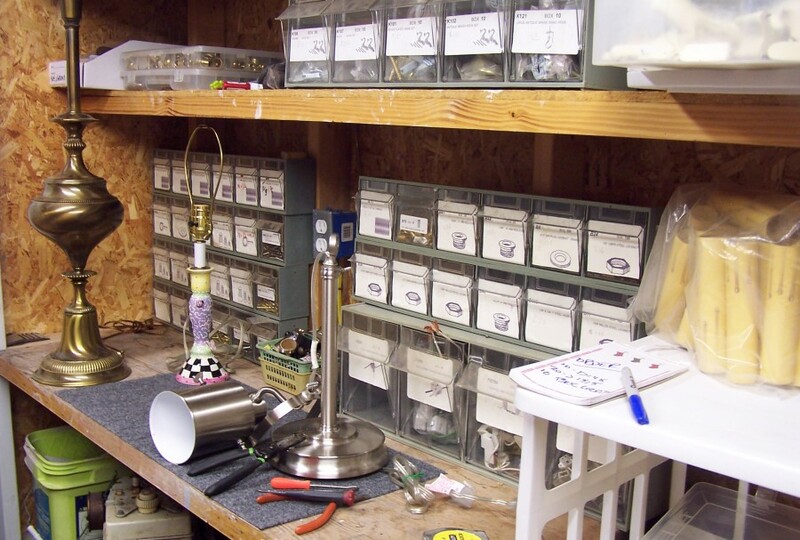 We also have a collection of over 35 years of specialty parts that can be used to bring your light back to tip-top shape. Looking to update the look of a lamp? We can re-coat metal surfaces with traditional metal lamp colors and finishes as well as any color under the rainbow. Typically, we use either acrylic enamels, thermoset and thermoplastic polymer coatings in lieu of plating to reduce exposure to environmental concerns. These coatings are very durable and work well in this application. Interested in making a lamp from a favorite item? We can do that too! From musical instruments to bowling balls, we can turn that special treasure into a functional part of your household. Have an interesting lamp you want to sell? Send us pictures! We buy vintage and classic lamps in any condition. Our specialty is mid-century modern; ceramic, metal and wrought iron. Whether it is a desk, wall, floor or hanging fixture or lamp, let us give it a second chance at light! NEW Phone: 214-980-4295. If we don’t answer, please leave a voice message.